How will Britain fare outside the European Union? Can Britain and the EU maintain good relations, despite testy Brexit talks? In “Clean Brexit” Liam Halligan and Gerard Lyons offer a vision of how Britain could make a great success of Brexit. If the negotiations go well, the UK could become an inspiration for voters elsewhere in Europe who have long demanded EU reform. Unashamedly optimistic about Britain’s future, they argue that leaving the EU provides an opportunity for the UK to reinvent its economy while reclaiming its place as a premier global trading nation. Amidst the confusion, spin and rhetorical barbs, Clean Brexit addresses, honestly and openly, the vital Brexit-related issues the politicians try to avoid. The British economy, having performed quite well since the EU referendum in June 2016, still faces genuine difficulties. Brexit will not be entirely straightforward – we are realistic about the near-term challenges and outline how they should be addressed. Our book is, nonetheless, unashamedly optimistic. Leaving the EU will obviously cause some upheaval, with both winners and losers. But we genuinely view Brexit as an opportunity – to reassert the UK’s sovereignty, reinvent our economy as both more productive and inclusive, while reclaiming Britain’s rightful place as a premier global trading nation. Under a Clean Brexit, the UK will be outside of the single market, but will still have access to and trade extensively with the EU – as do the US and many other leading economies. They trade with the EU without diluting their democracies or making multi-billion-pound annual contributions. Also, outside of the EU’s protectionist customs union, we will be able to cut trade deals with the world’s major and fast-growing economies, which Brussels has largely failed to do. The UK can then conduct more business with non-EU countries, which accounts for about 80 per cent of the world economy – a share set to go even higher. By avoiding a potentially explosive Messy Brexit that tries to trade off freedom of movement and single market membership and could ultimately end in stalemate, Clean Brexit provides the best chance of a constructive Article 50 negotiation. That bodes well for the continuation of healthy UK–EU trade volumes and ongoing cooperation across a range of important areas – from education and research to environmental protection, from military and security matters to cultural exchange. We are leaving the EU, not Europe, after all. We thus argue that the Article 50 process, if cool heads prevail, can be simpler and less disruptive to citizens and businesses than is often suggested. In book, we outline how the EU has changed since it was formed, and discuss the Brexit model we believe works best for both Britain and the EU. Subsequentlyly, we focus on the Article 50 negotiation, the relative bargaining strengths of the two sides and the approach Britain should take before we formally leave in March 2019. We discuss the early skirmishes of the Article 50 negotiation – relating to the ‘divorce bill’ and the rights of EU citizens in the UK, and their British counterparts living on the Continent. Explaining why trading under WTO rules is not to be feared, we outline a temporary transition plan – a bridge to Brexit rather than a cliff edge. We then highlight opportunities for the UK, as we seek to build on our growing non-EU trade by striking deeper commercial relationships with the broader world – not least the large, populous emerging markets, where Britain already has long-standing ties. A great deal of the book is devoted to the UK after Brexit. We map out a new economic and industrial landscape for Britain’s domestic economy outside the EU, outlining the future of regional and industrial policy. We discuss the automotive sector and financial services, along with agriculture and fishing. Rather than blindly deregulating and pursuing a race to the bottom, Brexit is a chance to create an enabling environment that encourages not only wealth creation, helping the UK to grow in a fast-changing global economy, but also better consumer protection – another area where Brussels has fallen short. A system of managed immigration is proposed – to be determined and implemented during the Article 50 window, ready for when we leave. We need immigration controls that provide the skilled and unskilled labour that businesses need while restoring the confidence of our broader population. Measures to promote a significant increase in the rate of house-building are proposed – injecting demand into the post-Brexit economy while encouraging ongoing collaboration between UK and EU universities. We discuss arrangements for Scotland, Wales and Northern Ireland once we have left the UK, including the prospect of further devolution. We then consider the important relationship between Britain and the Republic of Ireland. Lastly, we argue against a second referendum. Another public vote, involving a potential default back to EU membership, would betray the UK’s June 2016 referendum result. The prospect of a repeat referendum, in addition, seriously harms the UK’s Article 50 negotiating position, carries economic and financial risks and would further polarise the British electorate. After Brexit has happened, the return of sovereignty to Westminster, with laws once again decided by directly elected MPs, allows the broadest possible democratic engagement in shaping not just our domestic agenda but Britain’s relations with the EU and the wider world. Image by Arlington County, (Flickr), licenced under CC BY-SA 2.0. Following the 2016 Brexit referendum, the British government has a clear mandate to take the UK out of the EU, which means leaving both the single market and the customs union. To be a member of either is incompatible with being sovereign outside the EU. The UK is now in a high-stakes negotiation, with significant challenges. The twenty-seven EU nations, though, each have their own interests to consider, too. The European Commission is a powerful, self-serving bureaucracy. And within the UK itself there are politicians in both Houses of Parliament who want to undermine Britain’s negotiating hand and provoke a loss of public confidence. Then, of course, there are various financial and big business lobbies that are also determined to keep us in the EU, because it suits their current interests. Since, there are still those, at home and abroad, who are trying to frustrate and even prevent Brexit. All the more reason for the government and the broader electorate to maintain a clear vision of how these Brexit talks should be conducted and, beyond the rhetorical exchanges, the larger issues at stake. Britain should not fear the Article 50 process. Since June 2016, the UK economy, while still fragile against an uncertain global backdrop, has held up well. Although these negotiations will be testing, at a time when Britain has many other policy issues to address, we sincerely believe Brexit will unleash a wave of energy, investment and reform as the UK rediscovers its global vocation. We believe that being outside the EU, with a renewed entrepreneurial spirit, will also reinforce Britain’s position as Europe’s premier destination for inward investment. The UK cannot hide from the deep-rooted structural issues we face. There is a long-overdue need to rebalance our economy, so growth is driven more by investment and exports rather than consumption. If Britain is to prosper in the twenty-first century, we need the positive engagement of both the private sector and the state. We must enhance our infrastructure, while focusing relentlessly on vocational training and skills, as we reconnect fully with the international markets upon which this nation’s wealth was built. Britain has a chance to forge a new strategy and identity, unlocking our vast intellectual property while building a modern, regionally balanced economy less dependent on London and the broader south-east. The EU, instead of being the seemingly dynamic and outward-looking organisation we joined in 1973, now looks isolationist and dated. Despite noble early intentions, the European project has become remote and anti-democratic, pitting nation against nation. Its authority and broader consent are under serious threat. Elections in Holland and France during the first half of 2017 saw ‘centrist’ candidates prevail, but their populist opponents polled significantly stronger than in previous elections – reflecting growing public discontent. From over-bureaucratic regulation and an insistence on freedom of movement, to the disastrous and dangerous single currency, the EU needs fundamentally to change to counter the rise of extremist politics. With our unwritten constitution, code of common law and global perspective, the UK and the EU have never fully accepted one another. We believe, along with the vast majority of British voters, that any European supranational body ultimately needs to be looser, less statist and more democratic. This vision, rather than ‘ever closer union’, will more likely result in pan-European prosperity and peace. Despite that, the Article 50 negotiations need not be acrimonious. The vision at the heart of Clean Brexit is one of good relations and ongoing UK–EU cooperation. The nations of Western Europe should engage in free trade while collaborating across a broad range of areas. It is our sincere hope that we continue to do so after March 2019, and, indeed, for generations to come. This post represents the views of the authors and not those of the Brexit blog, nor the LSE. 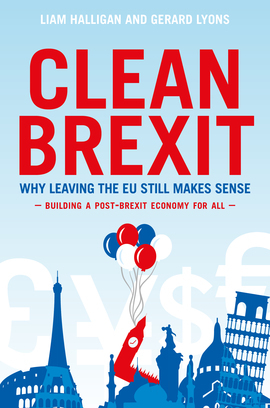 It is an edited extract from Clean Brexit – Why Leaving the EU Still Makes Sense – Building a Post-Brexit Economy for All (Biteback Publishing 2017). 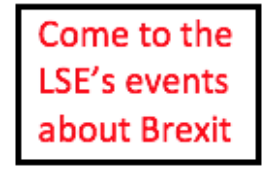 A public event entitled “Clean Brexit: why leaving the EU still makes sense“, hosted by the European Institute and the Institute of Public Affairs, took place on Wednesday 17 January 2018 at the LSE. 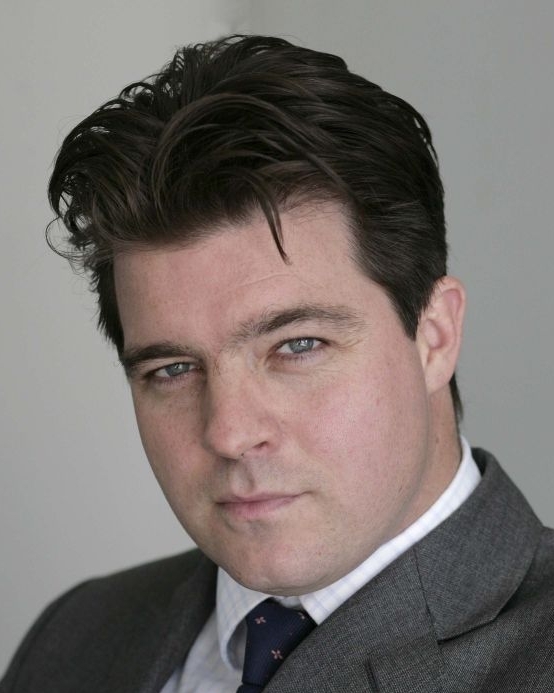 Liam Halligan (@LiamHalligan) is a British economist, journalist and broadcaster. 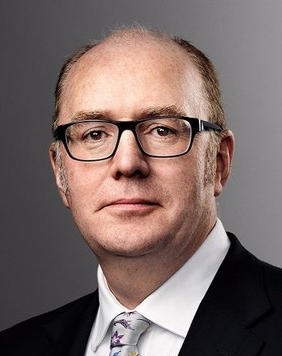 Dr Gerard Lyons (@DrGerardLyons) is a leading UK and international economist and writer. I couldn’t read all of this, stopped half-way through unable to take any more of this half-baked cake have and eat stuff. 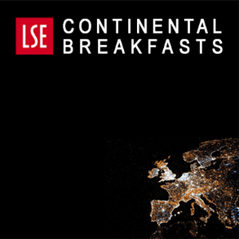 LSE, I applaud you for trying to present a fully rounded picture of Brexit. It would be good, however, to present a positive spin Brexit in something more than a stream of non-sequiturs. And all to promote a book! Bet that will be a best seller. Where are you “seeing cake and eat it”? I didn’t see that anything to suggest that. Optimistic that Brexit can be a success – yes, but not by claiming we replicate the ‘good’ bits of EU membership…at the same time as leaving. It was light on details…I guess you need to read the book to find out more. I do not see one concrete solution to how we can continue to have access to European markets but be outside the single market, pay no contributions, have our own trade deals etc. They say that the US has access to Europe – but it is very limited. The US are, in general, not part of supply chains, they cannot export meat and chicken to the EU, US cars are very sparsely imported into the EU and countless other sectors are not well represented. Europe is our biggest market, and if we trade on WTO rules, we can in no way replicate any more than a small fraction of our current trade with the EU. The rest of the world may beckon, but geography is important and Canada, Australia & New Zealand only have a combined population of 65 million and are halfway across the world – the EU without UK is around 450 million and right on our doorstep. There is not one single European country who is not in the single market except a few small south eastern European countries who are trying to get in. Is everybody wrong save us? There is strength in banding together and working together and Europe has never been stronger. The EU is not on the point of failure as some would like us to believe. The facile analysis of how the EU and Europe has changed is is not worth the electricity that it takes to light the pixels on my computer. The bit about the need to restructure our economy in the context of Brexit is meaningless. We need to restructure weather in or out and we don’t need to leave to give us the inputs to do so. All this article is puff for their book and more pie in the sky for leavers. Everyone has access to the single market and so will we. We need to see the final deal but it is likely that any tariffs will make a marginal difference – the net effect will be less than the currency devaluation. Yes I understand about integrated supply chains and financial services, but I suspect there will be solutions there too (e.g. equivalance under MIFID II etc). So it is not like we trade with the EU will stop, but will also have a chance to pursue separate trade deals that will be easier negotiate because they will be between 2 countries and 29. It’s not the tariffs but the non-tariff barriers that will restrict our trade with the EU out of the single market. They have also made it clear they will not negotiate a sector by sector approach as May’s government apparently expects tp do. It’s incredibly difficult, even under insanely optimistic scenarios, to concoct a picture in which the UK will become a greater trading nation post-Brexit. There are 31 other nations that participate in the single market (the 27 other EU states and the four other European states that participate with a few opt-outs). We know that by leaving the single market we’ll have worse trading terms with these states (ranging from just a little bit worse, to much worse than the status quo). The EU has around 50 free trade agreements with other states around the world, with more to come with states like Japan. We’re going to withdraw from these agreements and given we have a fraction of the clout of the EU, just getting the same terms as we already have would be a massive undertaking. That’s not even counting the indirect hits such as a loss of investment, losing skilled EU workers with the drive toward more restrictive immigration practices, and so on. I see no details in this article that even come close to addressing these issues far less taking us to a point where we’re going to become a greater trading nation in the foreseeable future. I fully understand that being a professional contrarian and saying the opposite of the popular consensus can be a lucrative business, but other than being “unashamedly optimistic” I’m still at a loss as to what the actual plan is. These are interesting arguments, which deserve to be debated. I only notice the lack of reference to non-tariff barriers to trade, which are especially important in trade with the EU. If UK goods and services no longer align 100% on regulatory terms with those of the EU, there is risk of massive exclusion from the EU market. It should also have been made clear that Gerard Lyons and Liam Halligan are leading members of Patrick Minford’s “Economists for Brexit” group. This is also sometimes known as the “Economists for Free Trade” group. Thank you Friedrich for the information about the authors’ membership of Minford’s group. I should have looked them up. Shame on you LSE for not including that information. That explains everything. I’m not sure where the authors got the view that the “vast majority of British voters” are in favour Brexit. The referendum result was 51.9% for Leave. 1.9% is not usually consider a “vast” margin. Indeed if they were looking at recent polling there is currently no majority for Brexit at all. I did not read the blog but listened to the podcast, my god, I was quite shocked, to be honest, you don’t normally get a snake oil salesman and a unicorn farmer in the same room. Maybe a bit harsh, but again all I hear is a mixture of blind optimism and British exceptionalism. Magical thinking I would say. 60% of our company’s product is exported but 95% of our components are imported. So a devalued pound only saves costs on labour. I do not really care if we have a free trade deal with Australia etc when the main cost is shipping anyway etc.